Going to SXSW this year? Our community peep Shannon Byrne brings you a list of places to discover unofficial events. Of course you are. Everyone seems to be going. I feel like the second thing after “Hello” from the mouth of every tech/startup/community person I’ve run into in the past month has been: “Are you going to South By?”. Unfortunately, I am only going in spirit. Although I am envious of everyone with a pass, I am even more envious of the people who will be attending all of the “secret,” unofficial, and pop-up events. Let’s face it, these events aren’t just a pleasant surprise, they’re usually the best part about a big conference conference. And rumor has it that the same rings true for SXSW. 1) Gary’s Guide to SXSW is described as “the ultimate” SXSW party list with lots of pub crawls, food crawls, happy hours, brunches, parties, and educational talks broken out by day. Have your SX itinerary next to you while you scan the list to pencil the most appealing events in. 2) Austin 360 has a super helpful side party guide. Choose your day with the option to select free entry only, free food and drinks only, and/or staff picks to see your curated list of the best SX side parties. 3) RSVPster has a pretty extensive unofficial SXSW party calendar. Make sure to check out their Crash Course in Attending SX. It’s pretty focused on music, but there’s helpful tips for innovation too. 4) Expion is hosting some interesting pop-up panels featuring Gary Vaynerchuck of Vayner Media, Sabeen Ali of AngelHack, and more. 5) .Co is setting up an entire pop-up SxSW HQ equipped with coworking space, coffee, tacos, meetups, talks from some of tech’s greatest leaders, and more. 6) Cool Austin has a huge list of unofficial events on their Tumblr page. 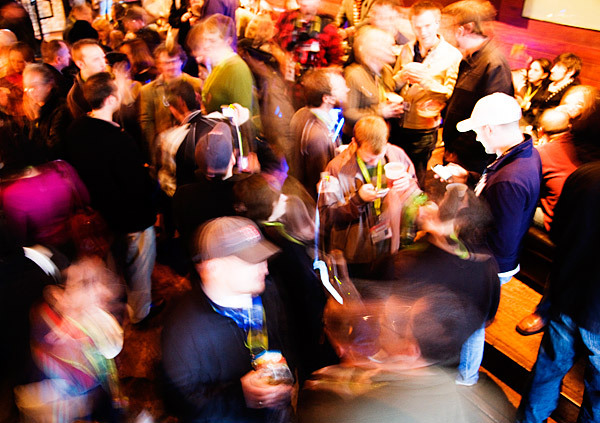 7) Start following Unoffical SXSW on Twitter or Facebook for tips on some of the best (and free) parties. 8) halfpastnow.com has put together a diverse list of tech, startup, music, arts, and showcase events. This one is definitely for those interested in broadening their networks (and one of my favorites, personally). 9) There’s even a Reddit feed with a list of and discussions around all the bets parties.